Let’s clear up one issue quickly. If mental illness (you know, the old “single shooter” trope) were the sole cause of these actions, people from all over the political spectrum would be committing them. Instead, it is the radical right that consistently enacts them. And we should also acknowledge that people with mental illness are much more likely to be victims than perpetrators of violent acts. Crazies got to be crazy. But as merely unofficial enforcers of the new madness, some of these loonies risked occasionally getting caught and punished. Their sense of permissiveness was not (yet) entirely sanctioned by law – as, we should note, it had been for generations during slavery and Jim Crow. The real work of enacting what I have described as ritual sacrifice fell, as usual, to local police departments, which, we recall, began as Southern slave patrols. or a Jacksonville, Florida cop ticketing a Black man for crossing a street without identification, to the fully tragic, such as Arkansas’ announcement that it would execute seven people in eleven days. The fully tragic. The number of fatal shootings by police officers in the first half of 2017 is nearly identical to the number of shootings recorded during the same time period in 2016 and 2015. That number? 492 people. Police killings are set to reach approximately 1,000 for the third year in a row. The authors of the report write: “These numbers show us that officer-involved shootings are constant over time” (not realizing that in saying this they are indicting Barack Obama as much as Trump). Another researcher, however, argues that police killings of unarmed people of color increased in Trump’s first six months and names many of the victims: Desmond Phillips, Nana Adomako, Chad Robertson, Raynard Burton, Alteria Woods, etc. In his new book Mumia Abu-Jamal questions what types of violence are considered hate crimes. He notes the obvious fact that police violence against Black and Brown people is never placed in that category, even as multiple states (over a dozen since the election) have passed “Blue Lives Matter” laws that define the assault or killing of police as hate crimes. Meanwhile, the West Virginia Supreme Court ruled that the state’s hate crime law does notcover anti-gay assaults or any crime committed on the basis of sexual orientation. Republican lawmakers in at least 18 states introduced or voted on legislation to curb mass protests. Oklahoma passed a new law imposing a minimum $10,000 fine on protesters who might “inhibit” the operations of oil pipelines. It also implicates any organization “found to be a conspirator” with the trespasser, threatening collaborator groups with a fine “ten times” that imposed on the intruder — as much as $1 million. In this context we should also note that 19 states have enacted laws that penalize the free-speech of those who would support the Boycott, Divest and Sanctions movement against Israel, and that some 43 Senators (including 14 Democrats) led by Chuck Schumer have co-sponsored a bill that would make it a felony for any American to support this international boycott. But back to the streets. Jeff Session’s clear lack of interest in investigating alleged crimes and shootings by local police let many municipalities, especially Chicago, off the hook. Emboldened, the Baton Rouge police chief refused his own mayor’s request to fire the officer who had killed Alton Sterling, despite an impending lawsuit by Sterling’s family. Indeed, in countless situations such lawsuits were proving to be the only recourse for aggrieved families, and as we all know, few police shooters are ever found guilty. Most citizens would probably be surprised to learn that armed white males are the category of people that cops kill most often. However, black men (6 percent of the population) make up about a quarter of police shooting victims. They are three times more likely to be fatally shot by officers than white people. …although Black women and girls make up only 13 percent of the U.S. female population, they account for 33 percent of all women killed by police. In raw numbers, white women outnumber Black women by five to one, but police kill nearly as many Black females as they do white females…U.S. police kill more Black women (my italics) every year than the total of all civilians killed annually by their counterparts in western Europe’s largest countries: the UK, France, and Germany. There are a few questions for which answers continue to elude us: How many hate crimes happen each year, and why is the record keeping so inadequate? The FBI, which is required to track hate crimes, counts between 5,000 and 6,000 of them annually. But the Bureau of Justice Statistics estimates the total is closer to 250,000. One explanation for the gap is that many victims — more than half, according to a recent estimate — don’t re.... Even if they do, law enforcement agencies aren’t all required to report to the FBI, meaning their reports might never make it into the national tally. The federal government is hardly a model of best practices; many federal agencies don’t report their data, either — even though they’re legally required to do so. In October 2016, the Department of Justice said it planned to collect more comprehensive data about police shootings. But Sessions, as noted, has called consent decrees a hindrance to law enforcement efforts, and he is most unlikely to follow through on the earlier promise. As civic culture collapses under the weight of a ruthless mix of casino capitalism and a flight from moral responsibility, crimes against humanity now become normalized in a rush of legislation that produces massive amounts of human suffering and misery while widening the scope of those considered disposable. What is new about the culture of cruelty is that its blend of hate, suffering and spectacle has become normalized. Matters of life and death are now being determined by a neo-fascist government that relies increasingly on punishing apparatuses such as the criminal justice system and budgetary policies that bear down ruthlessly on the poor, undocumented immigrants, Muslims and Black youth. For more detail on this subject, read Henry Giroux’s article. You might also want to review the issue of the militarization of the police, which has certainly increased under Trump. Our concern here is with that second fifteen percent of cops. Who are they, and why are they hired? How does the vetting process, with its sophisticated psychological testing, not identify them early on as sociopaths? Such an inquiry would have to begin with my earlier contention that policing in America began in the South as organized slave patrols. It would end in the present with the new sense of permission since the election. In late July of this year, almost exactly six months after the inauguration, a Cincinnati judge, after two mistrials, dismissed charges against a white police officer for killing an unarmed black motorist. The story is tragic enough, if common. But what we need to know for this discussion, is that the cop, Ray Tensing, who killed Sam DuBose was wearing a Confederate flag T-shirt under his uniform. A month before, the Hollywood, Florida police department defended a cop who took a selfie as he hugged pro-Confederate protestors in the street. …domestic terrorism investigations focused on militia extremists, white supremacist extremists, and sovereign citizen extremists often have identified active links to law enforcement officers. No centralized recruitment process or set of national standards exists for the 18,000 law enforcement agencies in the United States. In 2006 the FBI become aware of the term “ghost skins,” used among white supremacists to describe “those who avoid overt displays of their beliefs to blend into society and covertly advance white supremacist causes.” At least one skinhead group had encouraged ghost skins to seek employment with law enforcement agencies. That report appeared after a series of scandals involving local police and sheriff’s departments. In Los Angeles in 1991 members of a local sheriff’s department had formed a neo-Nazi gang and habitually terrorized black and Latino residents. In Chicago, a police detective and rumored KKK member was fired, and eventually prosecuted over charges relating to the torture of at least 120 black men during his decades long career. In Cleveland, a number of police officers had scrawled “racist or Nazi graffiti” throughout their department’s locker rooms. In Texas, two police officers were fired when it was discovered they were Klansmen. The situation got much worse after Obama’s election, and conservative pressure forced his administration to largely dismantle a DHS unit investigating right-wing extremism. In 2014, the Department of Justice re-established its Domestic Terrorism Task Force, a unit that was created following the Oklahoma City bombing. But for the most part, its efforts focused on homegrown extremists radicalized by foreign groups, rather than on white extremists. Trump further emasculated such efforts. Crazies get to be crazy, especially when they wear badges, and especially now that Trump and Sessions have encouraged them. The dogs are out, in the streets and in the patrol cars. What the hell is going on? One thing is clear: conventional political analysis can take us only so far. We need to think mythologically. “If you are not heartbroken, you are not paying attention!” this project seems to scream from its illustrious rooftop…Fierce protectress of truth, she tells it like it is, she beckons us to dive into the dark, to face the stark reality of the global ecological crisis upon us, and to let heartbreak be the ground from which we awaken and serve…In our bones we all recognize, we are in the death pangs of the old world, and that we make it through is anything but certain…what is needed now is the fierceness of Ma Kali. A holy oracle of change, her medicine is darkness, her initiation is by fire — she calls upon us to rise from our own ashes, to speak truth to power, take on all our shadows and take up the arms that we have, our own, to hold, serve and protect all life as we would our own child…I think that this moment gives us an opportunity for reckoning only if instead of running for the light, we let ourselves go fully into the dark…Receptivity is the great quality of darkness; darkness hosts everything without exception…Climate change is here, whether we believe in it or not. Politically, with the election of Donald Trump, our country and the world have entered a dark night of the soul. 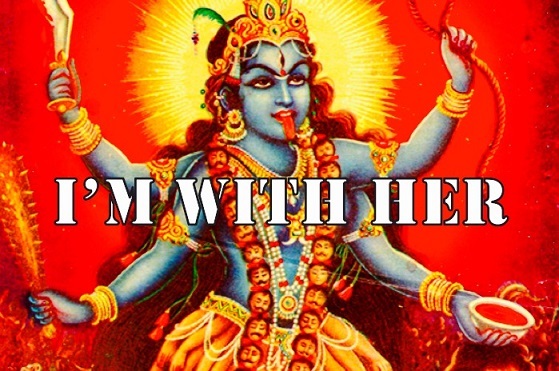 We might still live in a culture of shine, greed, glam and white supremacy, but the Dark Feminine has now reemerged into this cycle, and heaven has no fury like the Great Mother scorned. 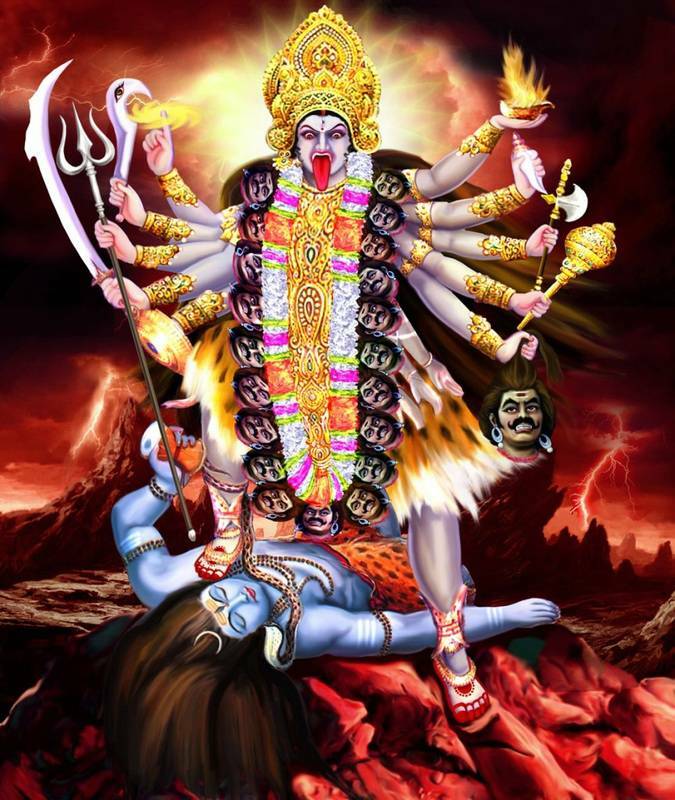 My colleague Hari Meyers reminds us that one image of Kali is of her dancing on the supine body of the great God Shiva himself. The Dark Mother, however, had already been calling on September 10th,when 35,000 children died of malnutrition, as they do every day. With all due respect to the victims of the attack, it is characteristic American narcissism to imply that 9/11 had more personal meaning than the carnage going on in any of the forty-odd wars being waged across the globe. Eight years later, it seems plain to me that it is also characteristic American innocence to have been in denial for so long. The Great Mother has always been crying for our attention. Perhaps there are other mythic motifs that can help. One is Pandora’s box. 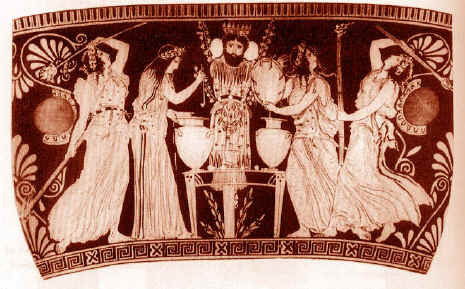 In Greek myth, when Prometheus stole fire from heaven, Zeus took vengeance by presenting Pandora, the first woman, “the all-gifted”, to Prometheus’ brother Epimetheus. Pandora opened a box (actually a jar) containing death and many other evils which were then released into the world. She hastened to close the container, but the whole contents had escaped except for one thing that lay at the bottom – hope. It’s all now out of the box, like an explosion of gases from the belly of a bloated, rotting whale, and we really don’t know if hope remains inside. I’m rummaging through world mythology because perhaps we need as many images as possible now. Another one is the Tower. Many mythologies share the theme of cataclysm (“wash down”) or catastrophe (“turn down”) and tell of disasters such as earthquakes, floods and eruptions. The Judeo-Christian tradition perceives such events as divine punishment resulting from sexual transgressions and reversions to Paganism. 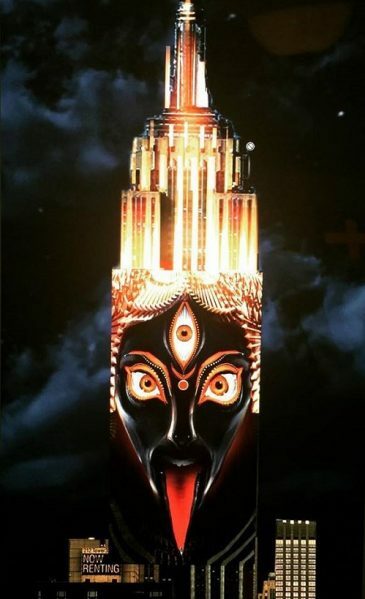 The Greeks saw these events as retribution (nemesis) for excessive arrogance and pride (hubris), which is symbolized as towers that reach toward heaven in Egyptian, Mexican, Assamese, Burmese and Native American myths. 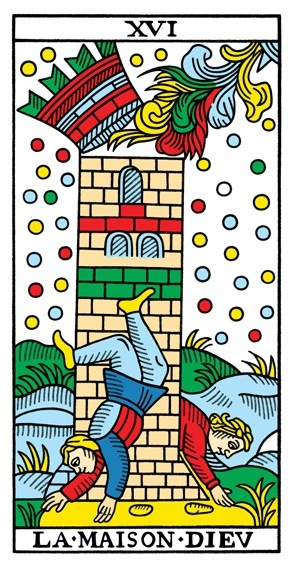 The Tower card appears in the European Tarot Deck as a medieval castle, a Babylonian ziggurat, a skyscraper, a prison — or the White House. It collapses in flames from an earthquake or lightning bolt. Sometimes human bodies fall from it, or pieces of it strike the king. Psychologically, it represents the ego defenses that hide our incomplete selves. The Tower, writes Shanti Fader, is a place of “fear and jealous, possessive pride, designed to keep out love…” Recall Pentheus (in The Bacchae) bellowing, “I shall order every gate in every tower to be bolted tight.”…It also represents knowledge swollen out of control, like the Tower of Babel.